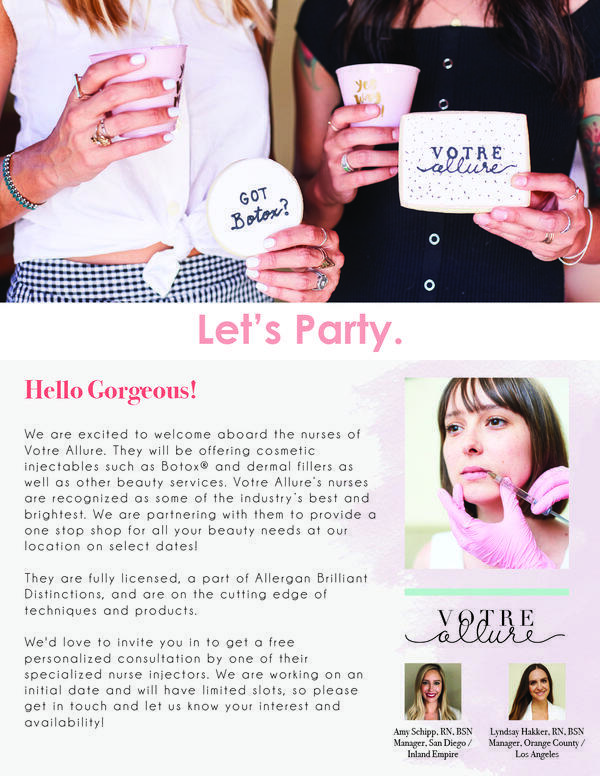 Botox Day of Beauty Event! We offer Botox® and the full Allergan line of dermal fillers including Juvederm Ultra, Juvederm Ultra Plus, Volbella, Voluma, and Vollure. â€?We now offer Kybella®, the first & only FDA-approved injectable treatment to reduce fat under the chin. â€?We also offer Latisse®, a treatment to grow eyelashes! * A $50 refundable deposit holds your spot. Please call 24 hrs prior if you need to cancel to avoid loosing your deposit. Get on the List for future Events & Specials!